Manager Darrell Clarke has named a squad of 14 for tomorrow’s friendly fixture against Bath City (Twerton Park, kick off 3.00pm). “I wanted out supporters to know the squad in advance,” said the manager this morning as his squad prepared for their final training session at the University of South wales before heading home this afternoon. The game gives an opportunity to some of the first team squad, and the four first year pros, to get more game time. 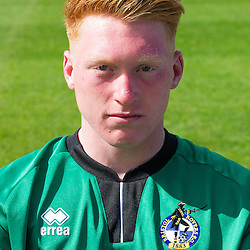 The triallists include Pierce Mitchell, who has been training with the squad since they reported back for pre-season training, and Ryan Higgins, both of whom featured in the games against Cirencester and Cheltenham Town. Neal Trotman, who was at Plymouth last season, has been training with the squad for the last two days and he is also in the party to make the short journey to Bath. Dan Thompson, a former Portsmouth scholar, is another player the manager will be taking a look at. Rovers scholars Kieran Preston and Ryan Broom are included in the travelling party. At least he's warned in advance that it's going to be a young squad. Ryan Broom - exciting 2nd year scholar - pacy, skilful and has a big heart. Hope he gets some game time. Will be interested to hear supporters views on him ? That looks a weak squad on paper if Bath intend putting out their own first team/squad. Good luck Kieran, a True All rounder! Keiran Preston hit his fourth century of the season for Mickleover to win weekly award again. KEIRAN Preston took his season's aggregate to 807 runs from 10 innings as he won the County League's batsman of the week prize for the second time on Saturday, scoring 146 for Mickleover in their 75-run win over Barton. It was Preston's fourth century of the season and he also has two fifties. Mickleover's own KP is also a goalkeeper on Bristol Rovers' books, so Division 4S bowlers may not be suffering for too much longer. Don't really agree with the squad he's putting out. Considering Bath are only a division below us I think it would have been a good test for most of our first team. Also would give DC a chance to see our weakness and get it sorted before the real stuff starts. I'm not sure all the answers will come from tomorrow's game either. Squad is so small, doesn't want to risk injuries ? U18s are having fewer pre-season games ? At least he seems to have perked up over the last fortnight. These are the things I worry about. If it all goes a little wrong 5 or 6 games in we have nothing to fall back on. If sticking youngsters in in this league when we are in the sh!t is his plan then I'm sorry but he's gonna finish a lot of promising careers. Agree with the first bit but the U-18's played in Bideford tonight and Barnstaple last night so they're pretty busy.